We are adept at both domestic and commercial projects ranging up to £250,000. We work throughout the north-east but have been known to venture as far as North Yorkshire and Humberside. Our team is made up of both experienced joiners and builders and young eager time served apprentices. 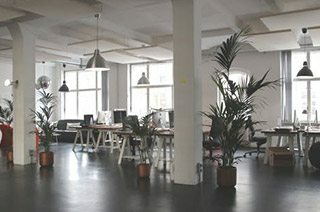 All of the out team are capable of working on their own initiative both in the domestic and commercial areas. Domestically we will renovate your bathroom, perhaps even turn it into a shower room. 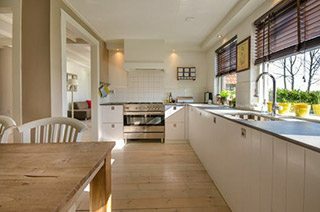 We can adapt or rebuild your kitchen including installing all fixtures and fittings, get rid of that dreadful flat roof and fix a pitched roof. Turn your garage into a gym or a chill-out zone and rebuild it more in keeping with your home. We might even add an additional storey to it and provide you with a new double bedroom with ensuite bathroom or extend it to provide a utility room. We are always available to refurbish your bedroom suites with fitted furniture whether bespoke or flat pack. And that flickering flame fire will be installed in a jiffy into your lounge. We have cultivated our chaps to be clean and tidy in our clients home. They always wear their A&P kit to enable you and other visitors to the site to identify them. Our workforce knows to respect your home and other peoples work, that way people respect their work. We pride ourselves on being able to sequence work to ensure a steady flow of trades that can shave days and weeks off a project. We refurbished a number of school toilets and bathroom facilities for Newcastle Local Authority. We refurbished the reception area at the Institute of Human Genetics for the NHS. This involved completing building work, refurbishing the shell, installing fixtures and fittings. The project also required us to programme manage and liaise with a number of specialist trades. We also completed a refurbishment of a bar for the University of Hull at their Scarborough Campus. The designer required us to make a number of structural alterations to space before we refurbished the space and installed new bar servery’s, food servery and fixed seats. Our compact workforce completed this as always within the time frame. Again on sites like these, it is essential to be professional. A&P Joiners and builders set up visible health and safety initiatives and ensure that all visitors and subcontractors to site are inducted and conduct their work within these parameters. We pride ourselves on the rapport with sub-contractors and nominated sub-contractors and have a keen eye to be able to work with and understand the detail requirements of the design team. This was duly noted by the client who has invited both our selves and sub-contractors back to complete additional works in other areas of the university. We are always keen to be invited to tender for these small to medium size projects and can adapt our workforce to our vast array of contacts to suit the project. We will never commit to a project unless we know we will do it justice. 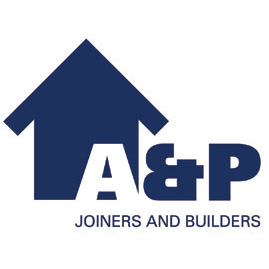 A & P Joiners and Builders Ltd.